ENGLISH SUMMARY: Couples with a fertility problem rarely are doing something wrong (except if they smoke). Psychological stress is unavoidable, but is a consequence and not the cause of the problem. Women should NOT give up a demanding job, provided it's a positive challenge. We recommend to shield one's privacy, not to share details with family and friends, and taking both extreme care of the partnership. 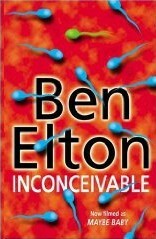 Reading suggestion: «Inconceivable» by Ben Elton. Elton, Ben: Inconceivable. Transworld Publishers, 366 Seiten, ISBN 0-552-14819-9, CHF 19.90.